A mixture of Japanese Bancha green tea, popped corn and toasted hulled rice kernels. 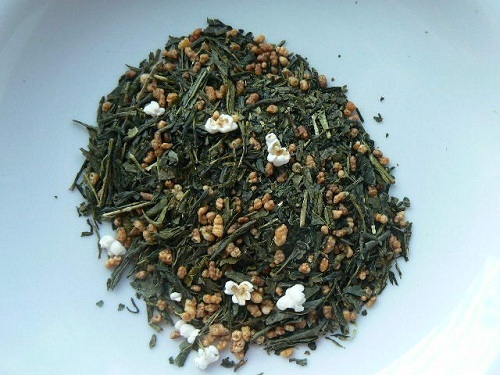 Originally consumed by the poor but now drunk by all segments of society, the “everyday” green tea in Japan is also known as “the people’s tea.” It’s reported that the rice and popcorn absorb any bitterness there might be in the tea, offering a toasty flavor. A favorite among Japanese Americans.